Put the kettle on and relax with this lovely Cambridge mug, ideal for enjoying a large cup of tea or coffee. 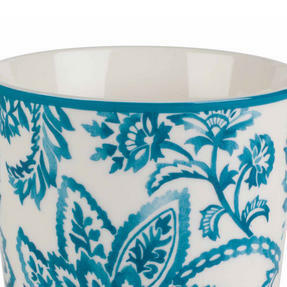 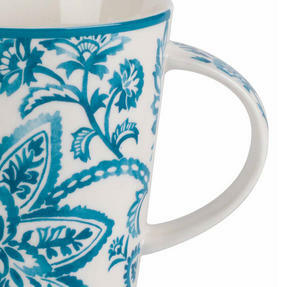 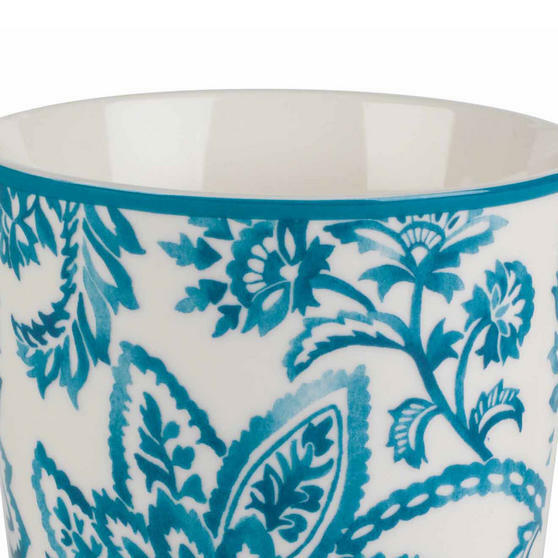 With wonderfully elegant features and an intricate floral design in an eye catching teal colour, this charming mug looks fantastic in any setting. 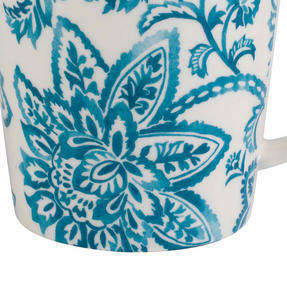 The mug is dishwasher and microwave safe so it is both practical and easy to clean. Crafted from new bone china the mug is durable and long lasting even with everyday use, ideal as a gift or for yourself it is the perfect addition to any home. This high quality Cambridge mug is made from luxury new bone china that is comfortable to hold and looks fantastic. 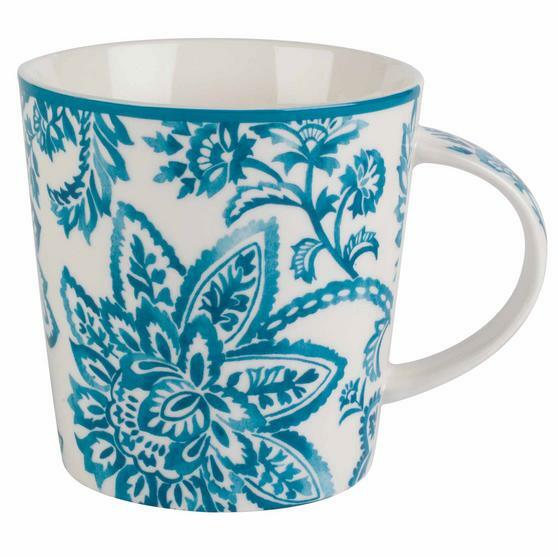 Stylish and charming, this mug has an intricate design in a lovely teal colour on a white background, it looks great in any setting.